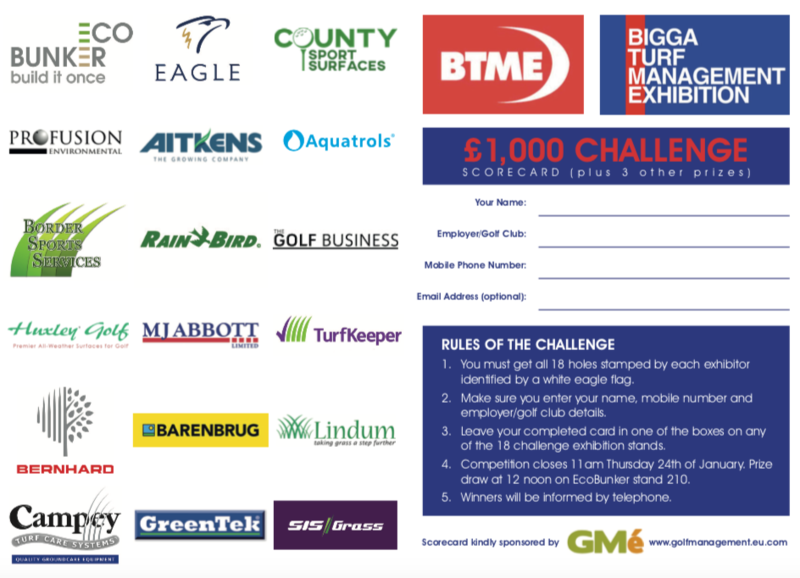 Eighteen exhibitors including The Golf Business and EcoBunker are running a ‘scorecard challenge’ at BTME in Harrogate next week. 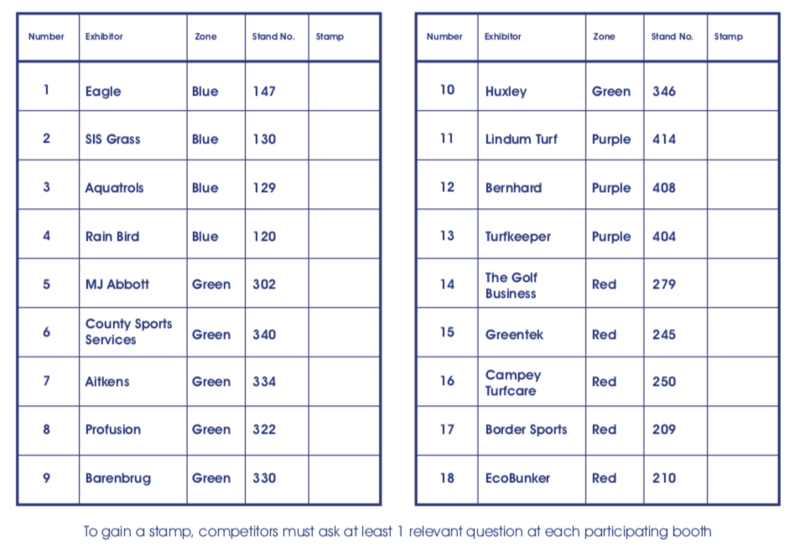 The £1,000 scorecard challenge will give all visitors the chance to win generous cash prizes in return for engaging with all of the participating exhibitors at the show. All complete ’18-hole scorecards’ will be entered into a prize draw, which will take place at the EcoBunker stand – 210 in the red zone – at midday on Thursday, January 24. EcoBunker’s Richard Allen explains how this came about: “Although everyone is excited about the forthcoming show, our company, like many others, is uncertain as to how the new layout will affect footfall,” he said. “The original idea originated from a trade show in the USA last year where EcoBunker had a booth. “My colleague Llewellyn Matthews saw something similar and suggested that we could do this at Harrogate, with a few tweaks and changes, and it would help encourage visitors to explore the new layout. Participating exhibitors include Eagle, Border Sports Services, Aquatrols and Bernhard and Company. Participants must have their cards stamped by each exhibitor.